Welcome to another stop in our journey through all the 17 chess structures: we have finally reached the Slav formation. As you probably already know, the Slav is one of the most common defences against the Queen’s Gambit. 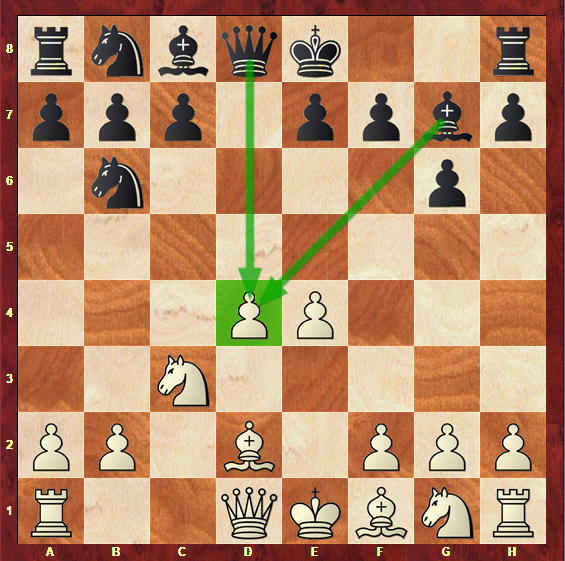 Although its name might lead you to think otherwise, this pawn structure doesn’t only come from the Slav: the Catalan, the Grunfeld and the Colle System can also lead to this formation. If you like slow-paced strategic games, then you would probably enjoy playing this structure. 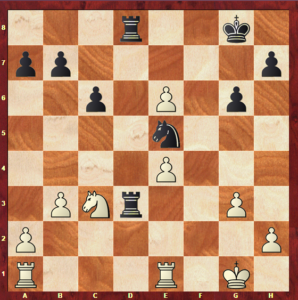 The positions you will find here will certainly not be the most tactical of all, but interesting positions will surely arrive from the battle between White’s natural space advantage and Black’s attempts to break the centre and create counterplay. The Slav formation has a sister: the Caro formation (our article on this structure is coming soon). They have so much in common that they are often referred to as if they were only one: the so called Caro-Slav formation. However, we will cover both of them separately, because the differences between them are important and should not be disregarded. Now that you know the origins of this pawn formation, let’s find out how to play it – make sure you have your chess board with you and get ready to learn another crucial chess structure! What does the Slav formation pawn structure look like? Take a good look at this position: it is the basis to all we will cover next. 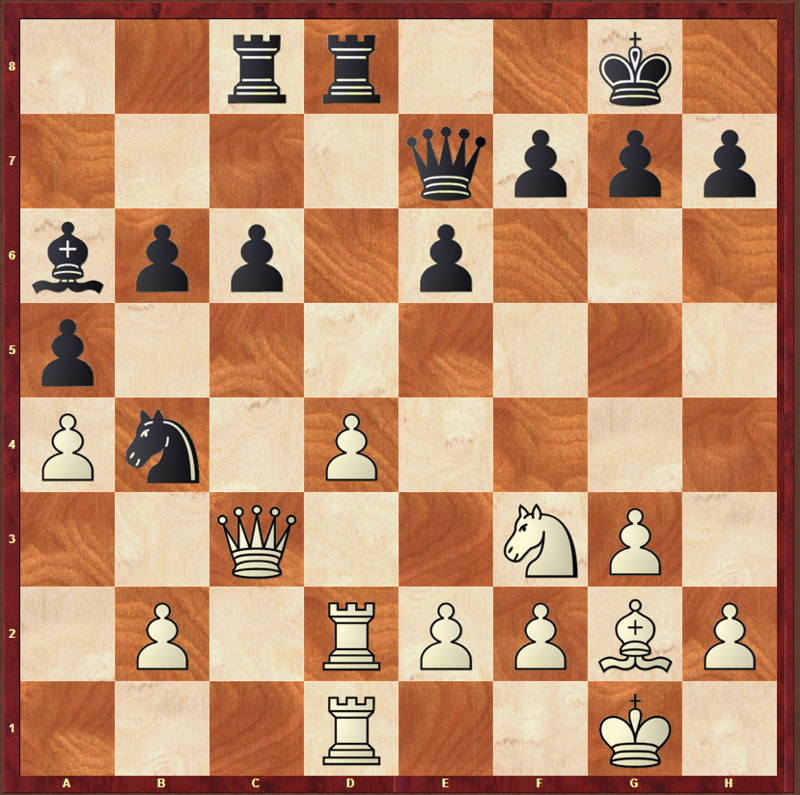 The fact that Black has exchanged his d-pawn for White’s c-pawn results in a better control of the centre for White. 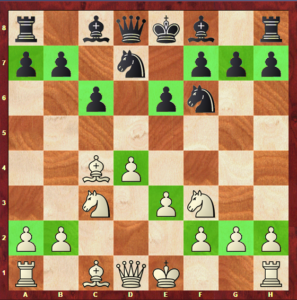 This, combined with White’s natural space advantage (due to the fact that he has a pawn in the fourth rank), leads to White having a comfortable and favorable position, and, therefore, Black has to try to find counterplay. 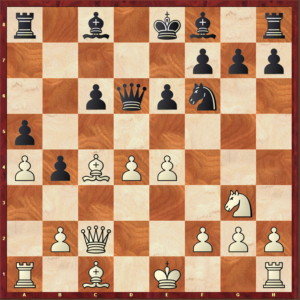 Note that this structure can be found with some meaningless alterations, such as the advance of some other pawns or the fianchetto. This doesn’t mean that it is not the same structure and that different plans will apply. The most important characteristic of this structure is the exchange between White’s c-pawn and Black’s d-pawn, and the control of the centre for White, with a pawn on the d4-square. Black’s position is pretty solid: there are no serious weaknesses that White can try to take advantage of immediately. As mentioned before, this structure will lead to rather slow games. While white cannot seem to find a way to explore Black’s position straight ahead, Black, on the other hand, must act quickly in order to deal with White’s space advantage. 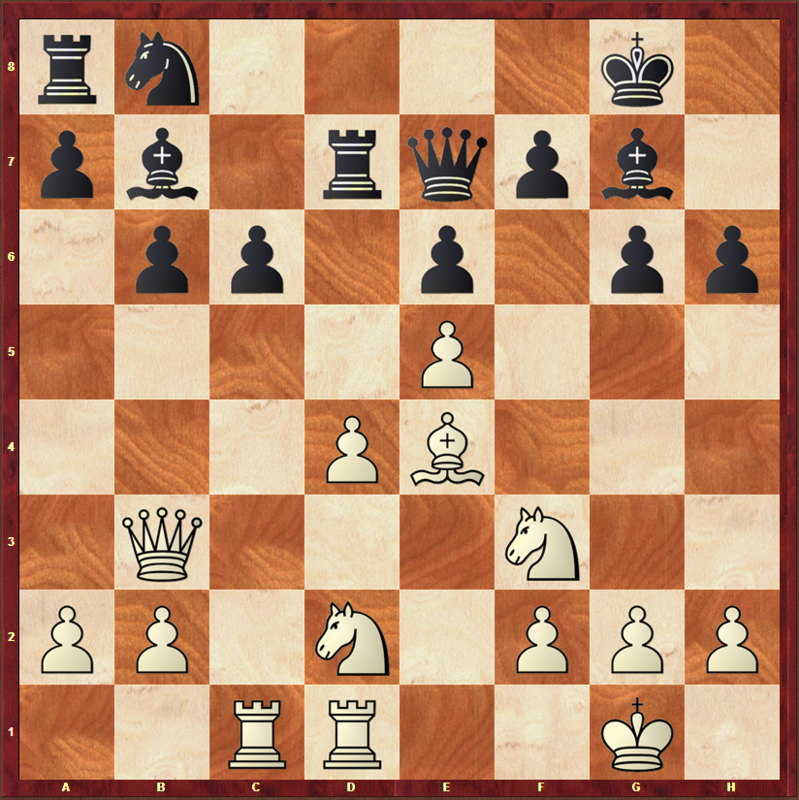 You can see that Black’s c6 and e6 pawns both support the d5-square. This could be an important outpost for Black. 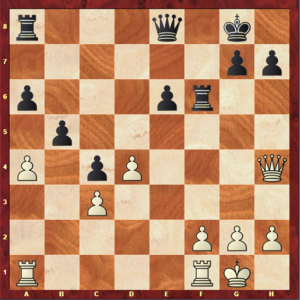 If needed, White can always push e3-e4 and get rid of any piece Black decided to put on d5, however, as usual in chess, that might not be that simple: the advance of the e-pawn can result in the d-pawn being a weakness and Black can try to pressure or even capture this pawn. 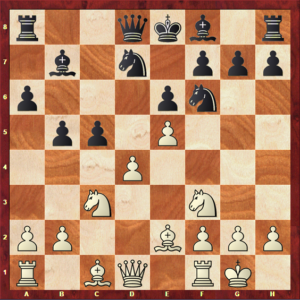 White’s central pawn does not only provide him with a space advantage, but also with the control of the e5 and c5 squares, which are excellent outposts. Opposite to what happens with Black’s d5 outpost, if White manages to place his knights on e5 and c5, Black will have a harder time getting rid of them, once the moves …b7-b6 and …f7-f6 would leave his structure seriously weakened. 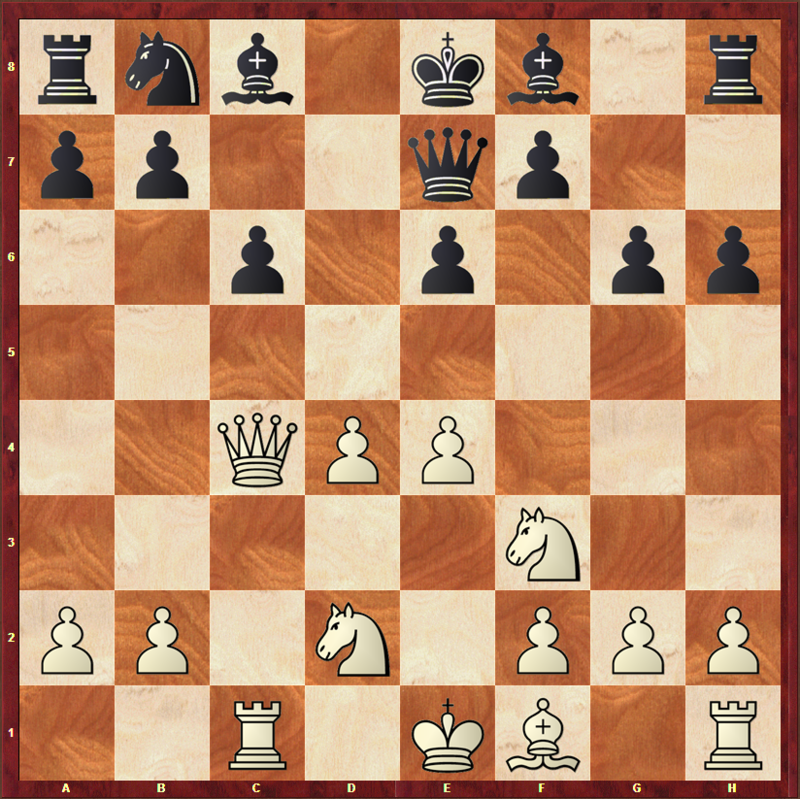 It is also noticeable that White has a majority of pawns on the kingside, and therefore Black is left with a majority on the queenside. This is the main difference between the Slav formation and the Caro formation, as in the Caro the complete opposite occurs. Now let’s get into deeper waters in this structure and see what are the most important characteristics that define it. Keep reading, as the next section is of extreme importance and will allow you to recognize this structure on any chess board and know how to play it from both sides (with Black or White). What are the characteristics of this pawn structure? 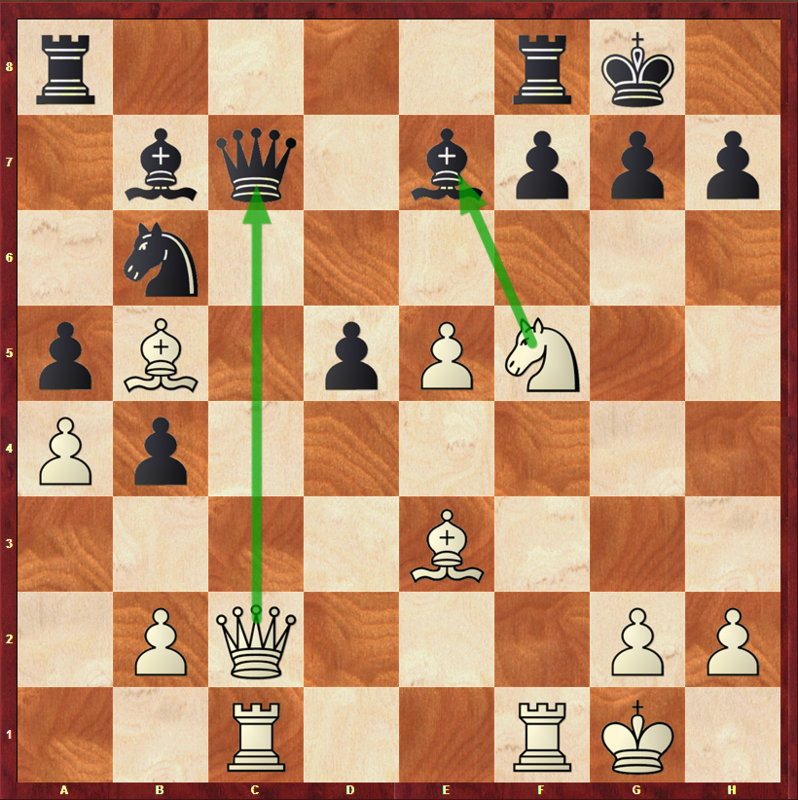 As mentioned before, when the exchange of the White’s c-pawn with Black’s d-pawn occurred, White was left with a majority of pawns in the kingside. This majority allows him to attack on this side of the board. 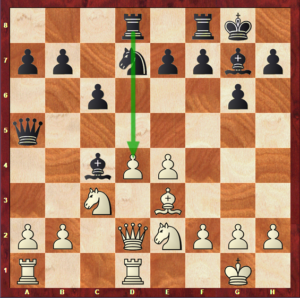 This attack should be met with a cautious defence and, if possible, a central break. 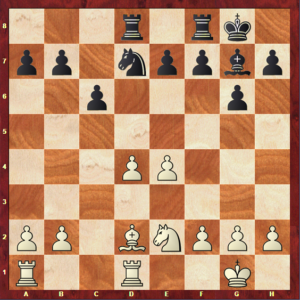 It is a basic rule of chess: a wing attack should be met with a breakthrough in the centre. 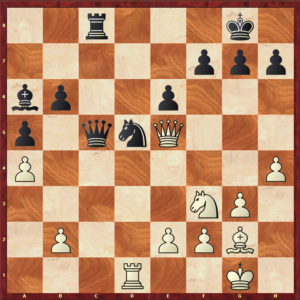 In order to attack on one side of the board, one needs to have a secure and solid centre; otherwise the opponent will most likely be successful with a central breakthrough. This happens because once the centre is broken apart, the pieces of the attacking side may be disconnected and exposed. 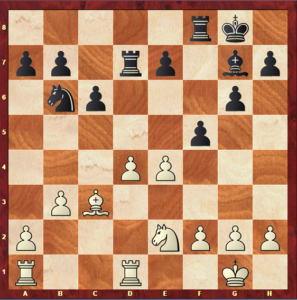 In this position, White has the control of the centre, but this doesn’t mean that he doesn’t have to be careful: as we are going to see next, Black’s …c6-c5 and …e6-e5 breaks are very common themes. 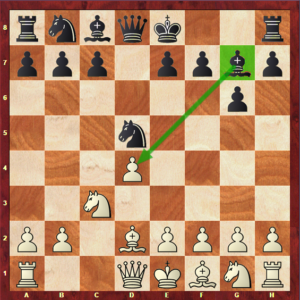 Besides the fact that White has the opportunity to go straight to the point with a sharp kingside attack, he can also choose to keep things more secure and maintain his positional edge, going for a minority attack in the Queenside. A minority attack’s aim is always to create weaknesses in the opponent’s position. 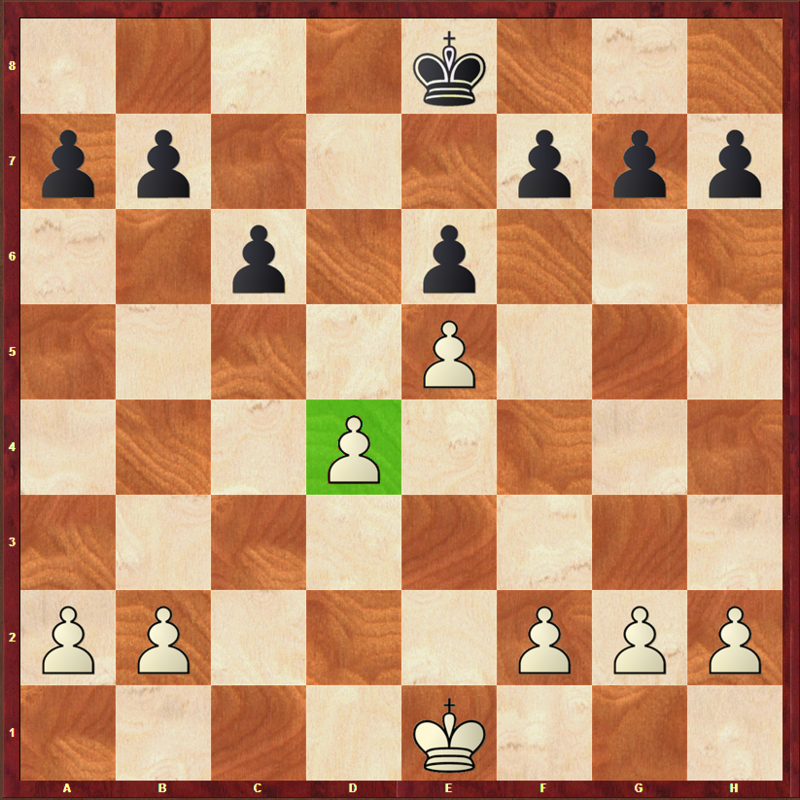 A common objective, for example, could be to trade the pawns in that side of the board, leaving the opponent with an isolated pawn. Having full control of the centre, White can also try to obtain even more space with the advance of the e-pawn. This pawn could easily reach the e5 square, giving White the control of the important d6 square, weakened by Black’s pawn advances to c6 and e6. Of course Black cannot simply wait for White to carry on with any of the above mentioned plans without doing anything himself. 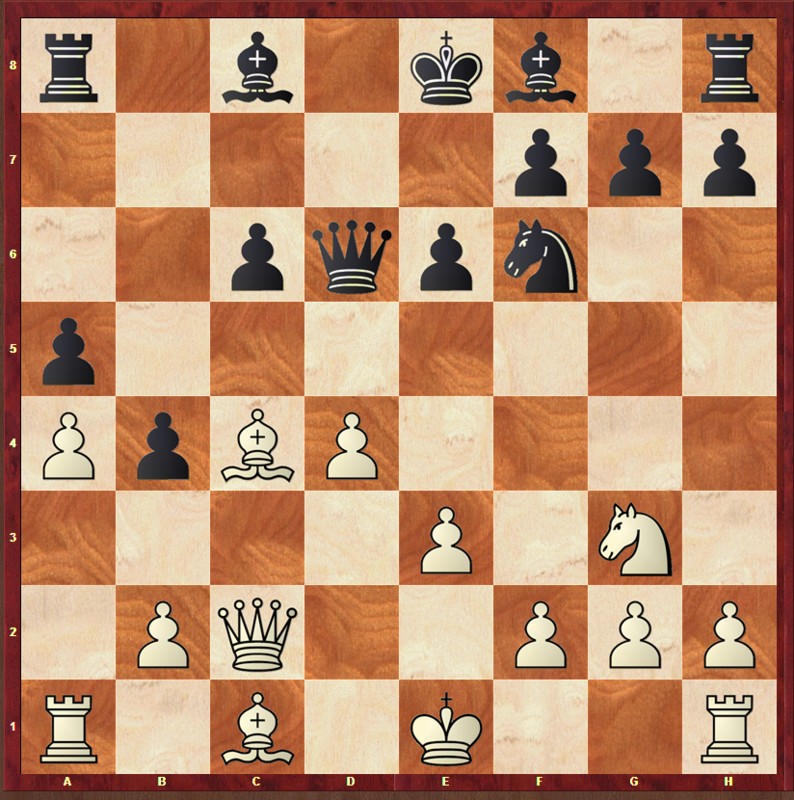 He has to try to get some kind of counterplay in order to activate his pieces and survive White’s powerful attacks. The most common plan for Black in this position is to break the centre with either …c6-c5 or …e6-e5. 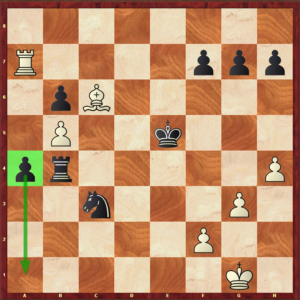 If he manages to do this at the right time, it could have serious consequences for White, especially if he was already too further in the attack of one of the two sides of the board. 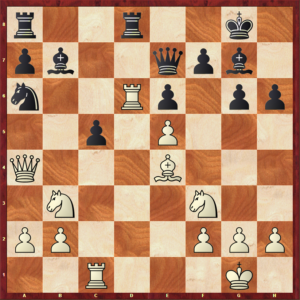 Besides the possible plan of placing a knight on d5, the move …f7-f5 also deserves mentioning. 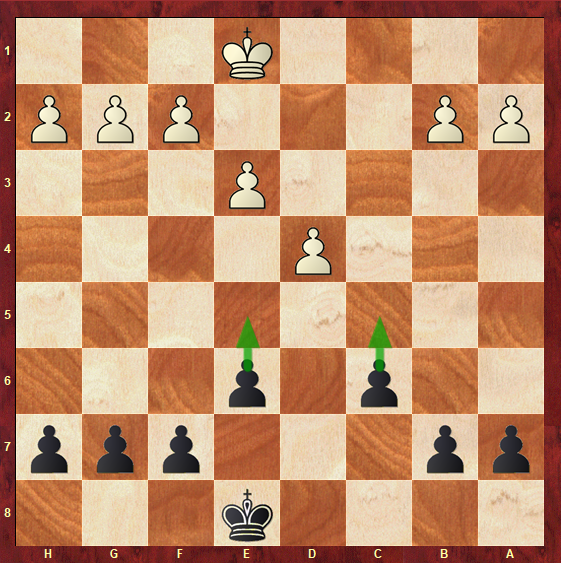 Though this is not the most common of the plans, it is a possibility for Black to try to gain some control of the centre in this way. Diagram h: …f7-f5 as a way of controlling the centre. With all of this in mind, let’s now get to the section when we will see all these characteristics in practice. With all of the following top-players games, you will be able to see what are the most common plans for both White and Black, and how they work in the reality. After getting familiar with the themes existing in this model-games, you’ll be ready to master this structure and get exciting results when playing it! 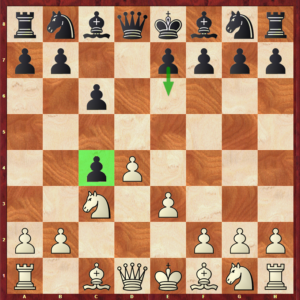 How do you play in this pawn structure? As usually, we are now headed to the section that will teach you how to put the above mentioned plans into practice. 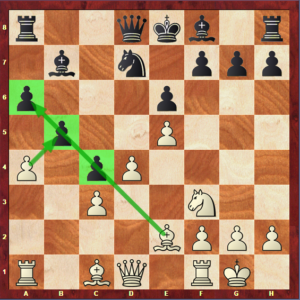 A great way to develop your chess abilities is to watch top-rated players’ games, if possible previously commented and analysed. Place knights on the e5 and c5 strong outposts. 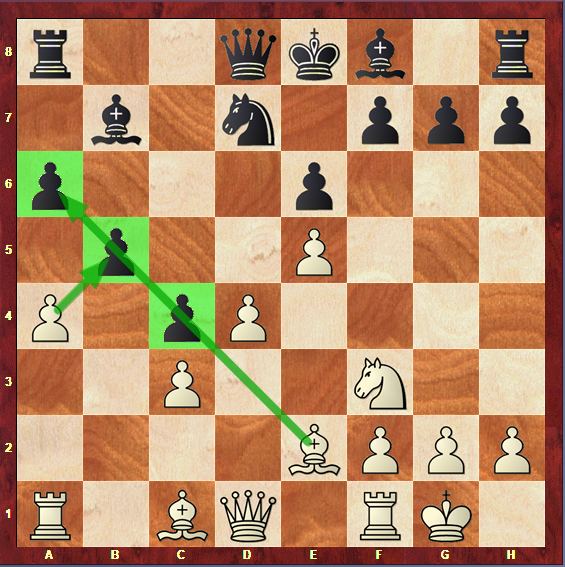 Putting pressure on the d-file, especially on the d4-pawn once the e-pawn has been advanced. We have now reached the most important section of this article: we will see the above plans in motion. The first game will illustrate how Black cannot remain passive in this structure, and must act quickly, otherwise, he will not be able to stop White’s powerful attack. This is an example of a White’s kingside successful attack. 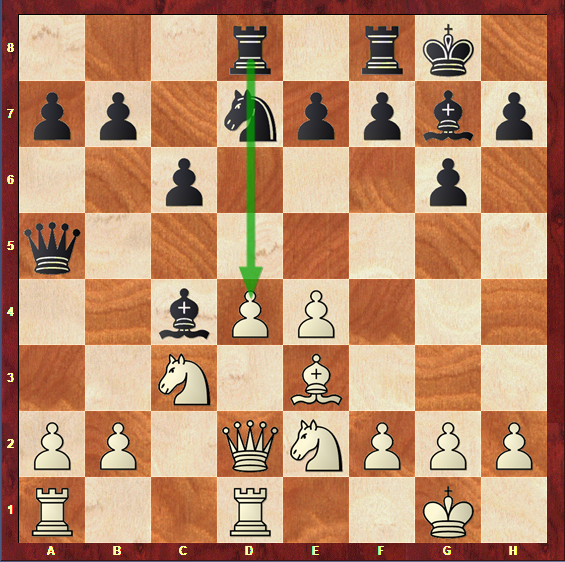 This game was played between Surya Shekhar Ganguly and Razvan-Gabriel Iagar, in the famous Tradewise Gibraltar tournament. We have now reached a position in which White is clearly ahead in development. Black must waste no time and activate his pieces, and then prepare a central break. White has chosen to gain space in the centre with the advance of the e-pawn. However this leaves his d-pawn unprotected. What happens if White captures it? If 14… Qxd4, White can respond with 15. Bxe6, threatening Qxc6. 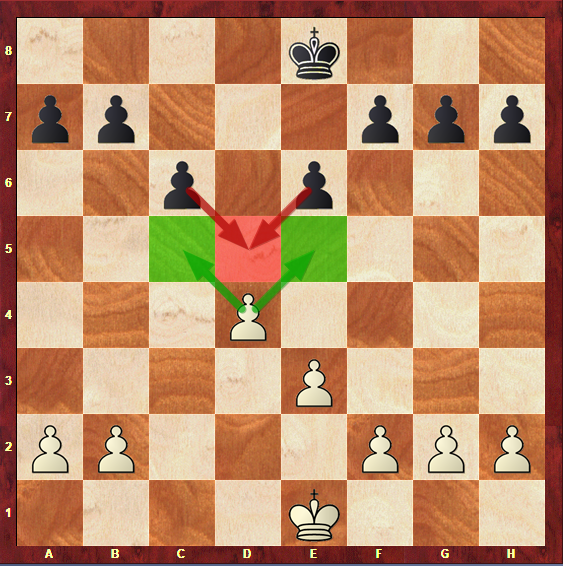 This would lead to an endgame where White has a small edge. 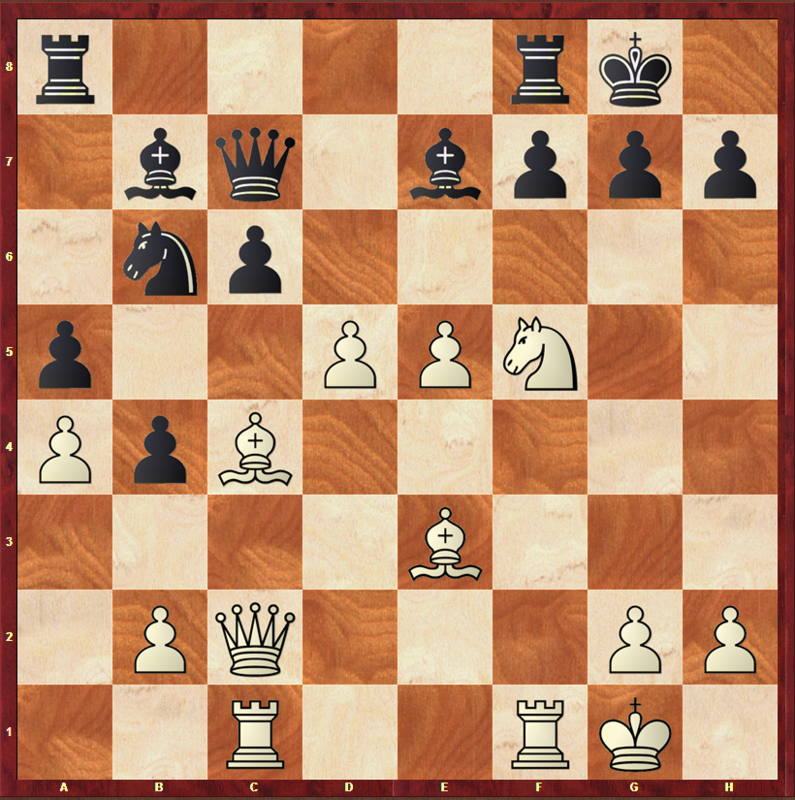 Black probably didn’t find this endgame comfortable enough for him and decided not to play 14… Qxd4. However, this would probably have been a better choice than the move he played in the game. Let’s go back to the position in the diagram 1l. Black decided to go back with his Bishop to b7, losing a tempo that will reveal to be essential. White is even more ahead in the development, and has total control of the centre. The d-pawn is now defended, White managed to get his dark-squared Bishop out and control the semi-open c-file: everything is going well for White so far. On the other hand, Black’s pieces are mostly confined to his 2nd line and he still has the f8-bishop to develop. White started a pawnstorm in the kingside. 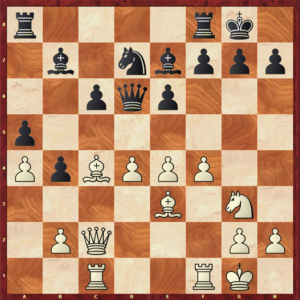 This attack is already so strong, due to Black’s delay in development, that Black would be better off without castling in the 18th move, but, instead, trying to coordinate his pieces with a move like Qc7. White tries to open the c-file with the move 22. d5! If Black accepts this pawn sacrifice, White can move the c4-bishop, threatening both the Queen and the Bishop on e7. Black decided not to take this pawn, and tried 22… Nxc4 instead, in an attempt to exchange pieces and slow down White’s attack. However, in this position there’s already not much to be done. White’s attack in unstoppable and there is no way Black can defend his King. Hopefully in this game you have learned the importance of acting quickly and wasting no time for Black. 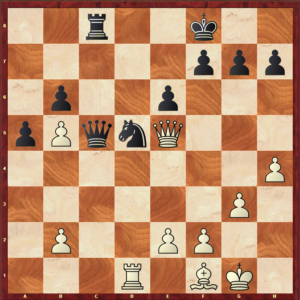 White simply outplayed his opponent during the whole game, simply because his opponent couldn’t find a way to break in the centre because of the lost tempi and the poorly placed pieces. 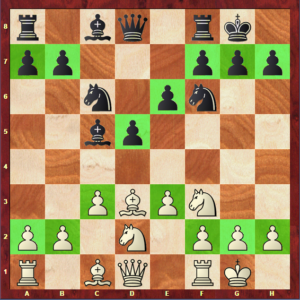 In the following game, we will see a successful …c6-c5 break in the centre. This is a game between the Grandmaster Jon Ludvig Hammer and the current World Champion Magnus Carlsen, in the year 2013. 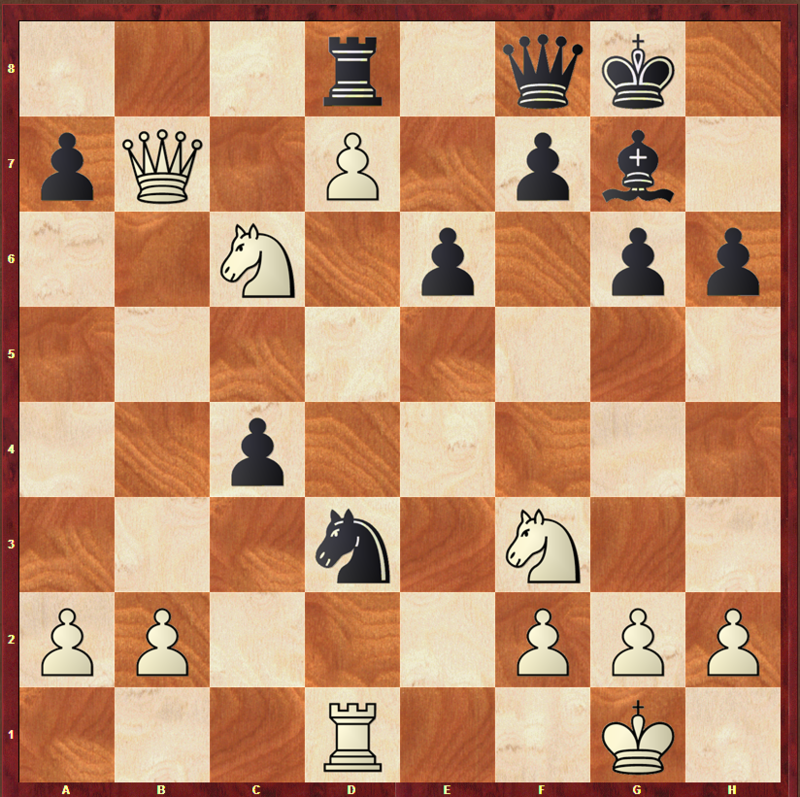 In this position, again, we have reached our original structure with some additions, such as the g3, the a4 and the a5-pawns. 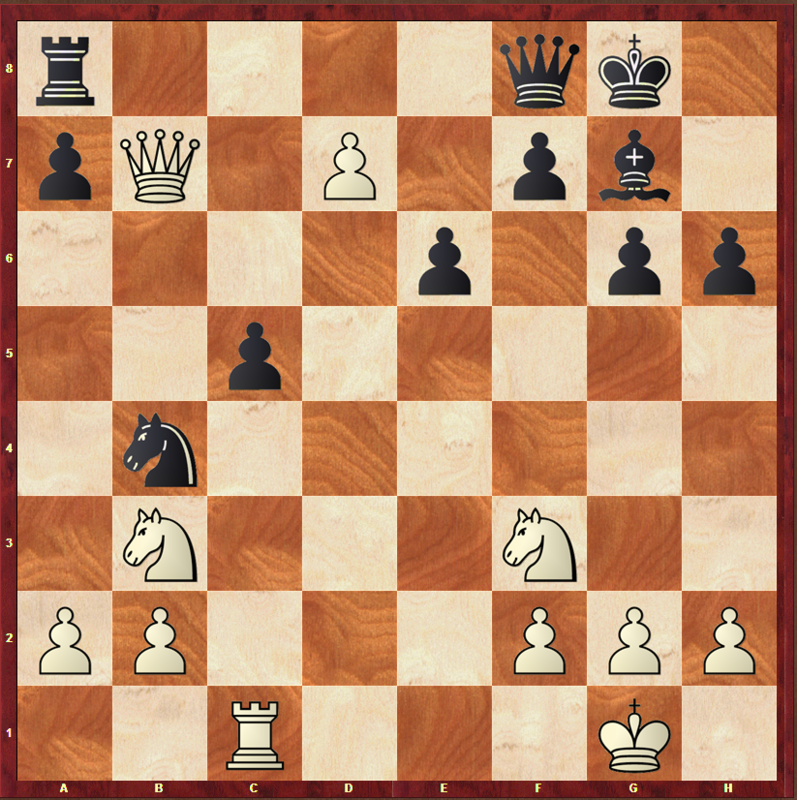 Black’s position in quite solid, and so is White’s. Black managed to place his Rook and Queen on the semi-open d-file, putting pressure in the centre. Besides that, he also succeeded in exchanging pieces, which in good for him, decreasing his space problem: it is always a good idea to exchange pieces if you have less space than your opponent, as having space is only good if you have pieces to occupy it. 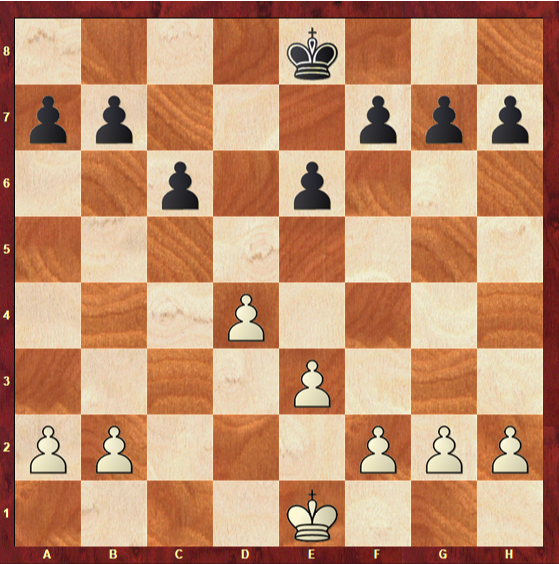 In comparison to the previous game, White lacks pieces to attack and prevent Black’s breaks. Black is preparing the …c6-c5 breakthrough, and there isn’t much White can do about it. Black is now fighting for the centre with White. 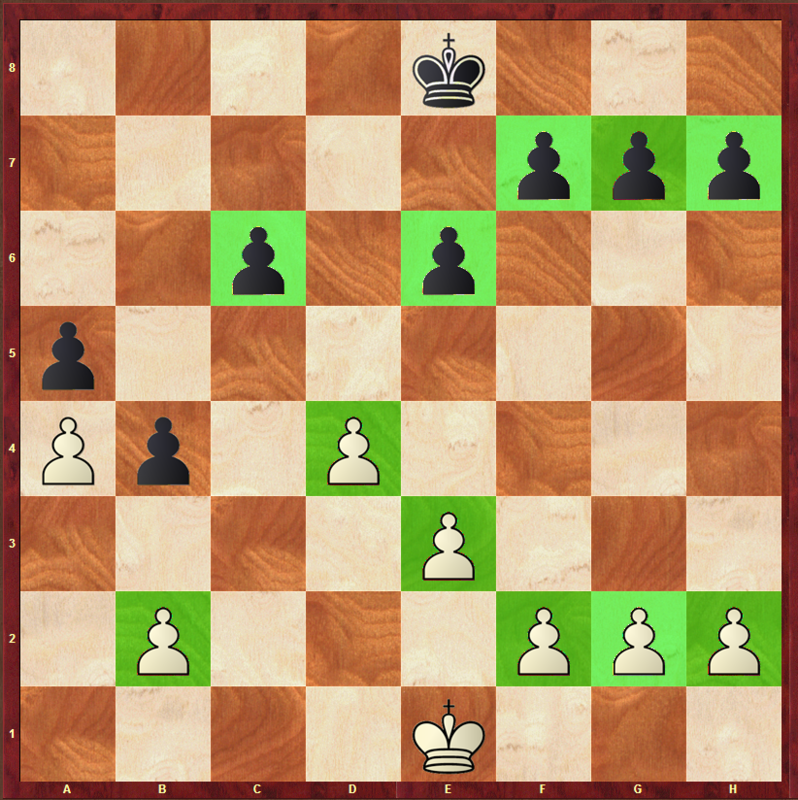 The position is finally equalized, and Black succeeded on his goal of neutralizing White’s activity. The exchange of Queens is forced and Black reaches a favorable endgame. 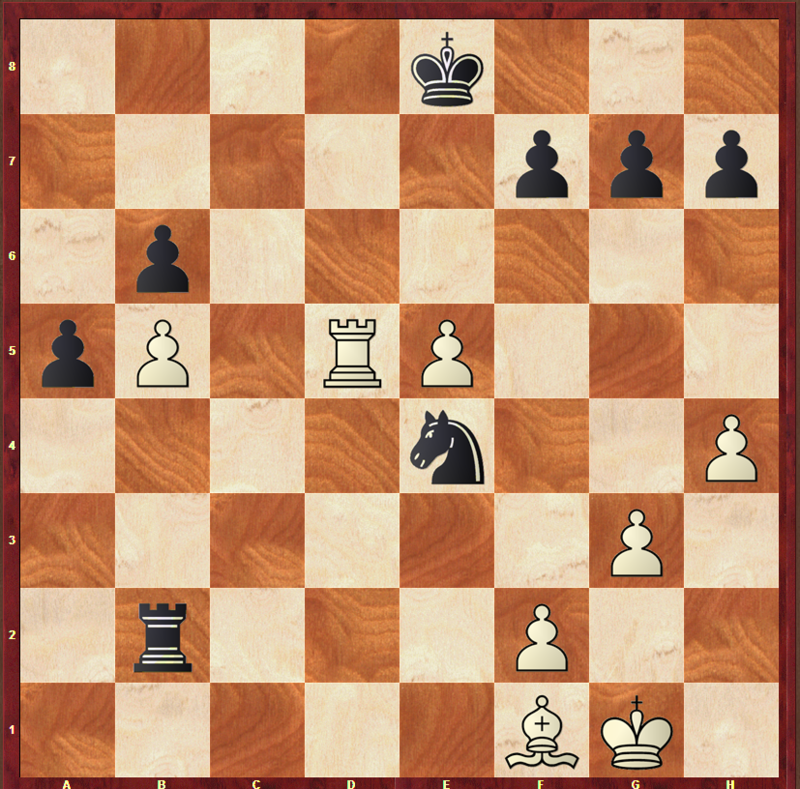 The position is clearly better for Black, because of the strong passed a5 pawn, which eventually won the game. 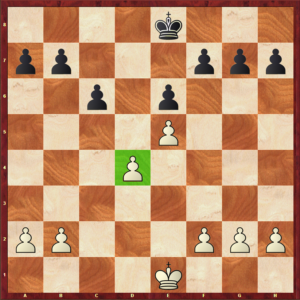 The a-pawn cannot be stopped, and, in sight of it becoming a Queen, White decided to resign. The next game will illustrate White’s idea of advancing the e-pawn to e5, fixing the centre and controlling the d6-square. This game was played in Dortmund 2013, between two extremely strong players: Dmitry Andreikin (White) and Vladimir Kramnik (Black). This will be the starting point of our analysis in this game. White decided to place the e-pawn directly on e4, not losing the tempo of playing e2-e3 beforehand. White has fixed the centre and has full control of it. Note that this move is also important in the way that it takes away one of Black’s most common plans: the …e6-e5 break. In this position all White’s pieces and correctly placed and the development is completed. The d4-pawn weakness (due to being a backward pawn) is hard to take advantage of in practice, since it is difficult to create an attack against it. 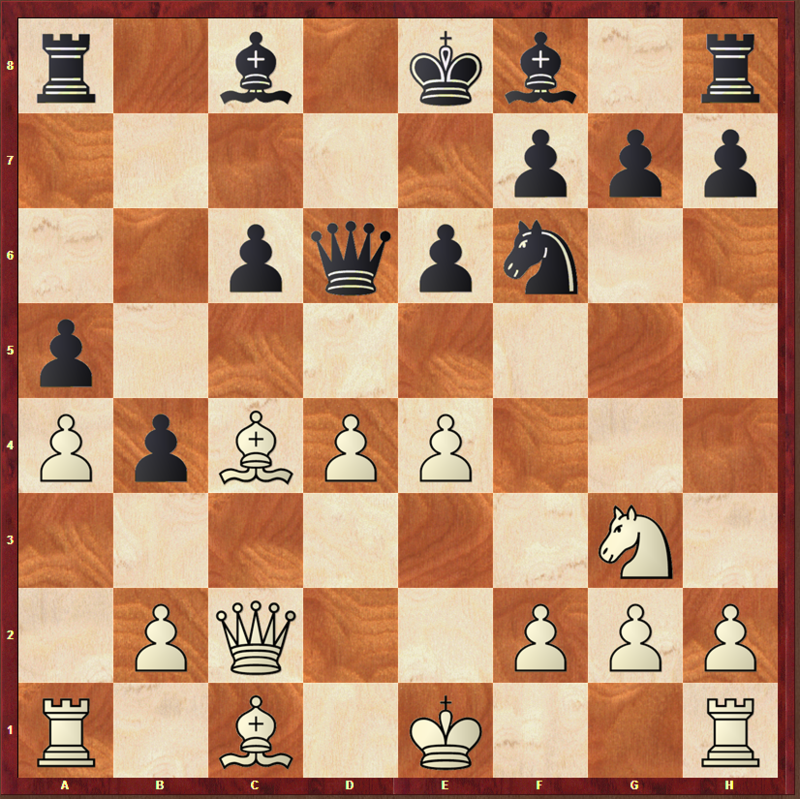 Making good use of the d6 square, that was left weak by the advance of both Black’s c and e pawns. The White pawn on e5 creates this strong outpost right in the middle of the enemy’s field. White manages to exchange pieces, which is always a good idea when playing against an isolated pawn, as we learnt in the Pawn Structures Fundamentals article. 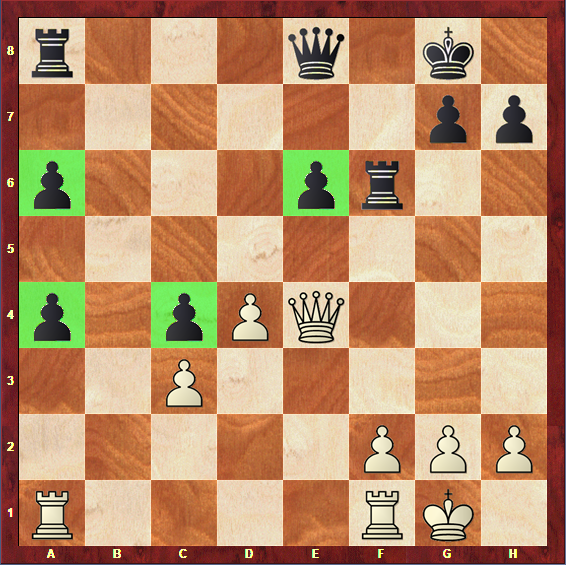 This will lead to a favorable endgame for White, as Black will not have enough pieces to support his weakened structure. 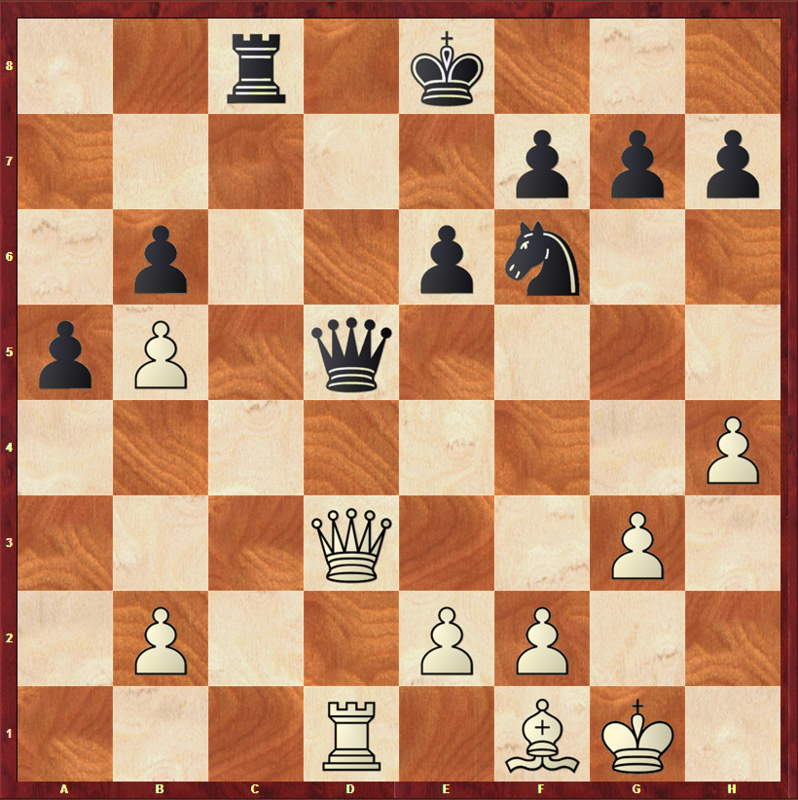 White’s advanced d-pawn starts to get really dangerous for Black. The c5 pawn remains extremely weak. Black resigned, as he was going to get checkmated very soon. In the next game, Magnus Carlsen shows us again that Black in not worst in this structure and that there are lots of ways to find counterplay and equalize the position for Black. This game will demonstrate both Black’s ideas of controlling the centre with the move …f7-f5 and pressuring the d file and the d4-pawn. 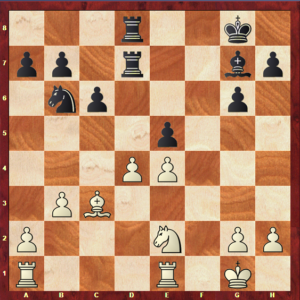 The fact that Black’s Bishop was placed on g7 and not in the typical f8-a3 diagonal has some relevance that should be noted: it is now easier for Black to attack the d4-pawn if the e-pawn advances too much and cannot defend it. 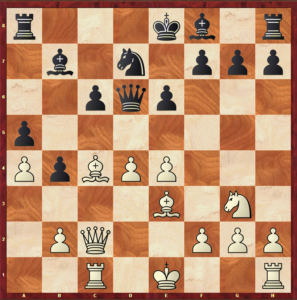 Also, when the Bishop is on this diagonal, it makes it a lot more difficult to reach the break …c6-c5. On the other hand, the advance …e6-e5 is more likely to be achieved as it is supported by the Bishop. The e-pawn has been advanced, leaving the d4-pawn vulnerable. However, White has the control of the centre and is ahead in development. After having completed the development, Black starts to put some pressure along the d-file. 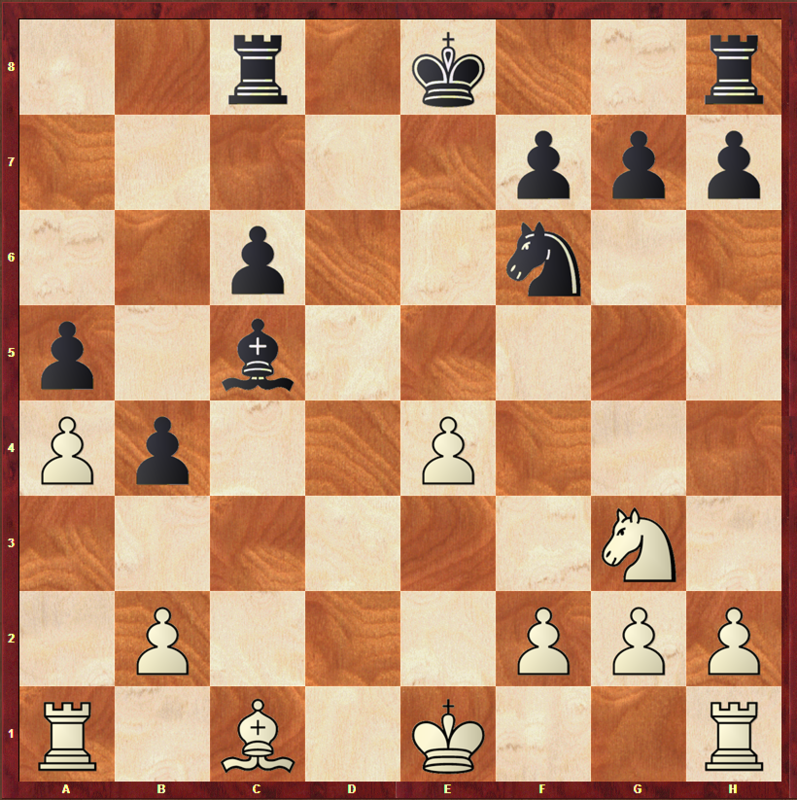 The majority of Black’s pieces are active and well-placed, and the position is probably equal. An endgame is reached and this position feels more comfortable for Black: White’s space is no longer such a huge advantage as so many pieces were exchanged. 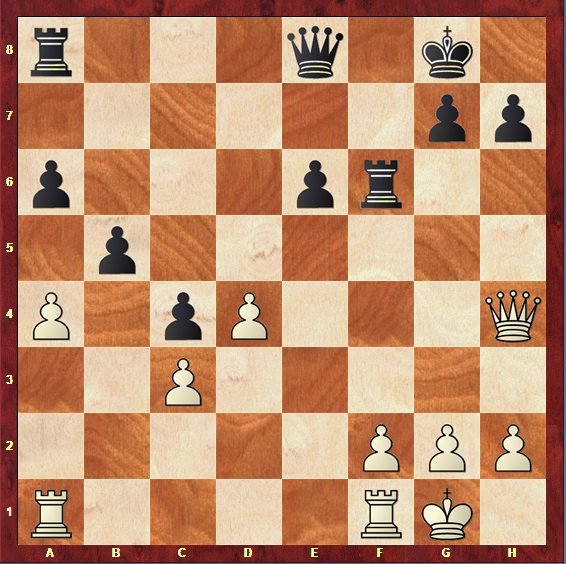 Black’s pressure on the d-file and d4-pawn, however, are becoming more noticeable, since weak pawns are easier to pressure and therefore become weaker in endgames. This move clearly challenges White’s control of the centre. 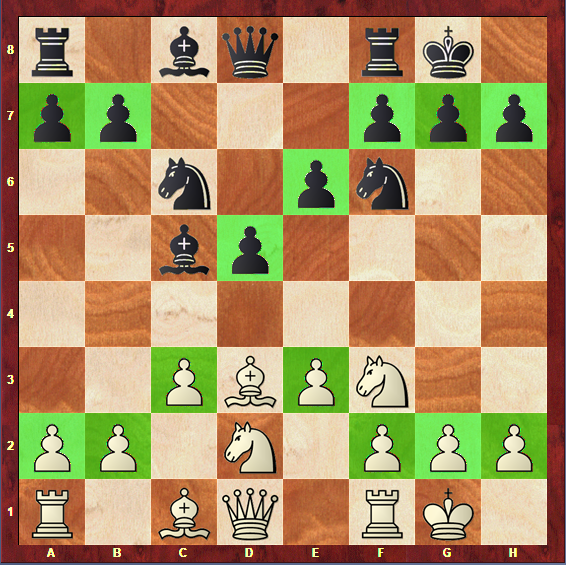 Black tries to breakdown White’s centre by undermining the e4-pawn, as the exchange of this pawn would leave d4 even weaker. 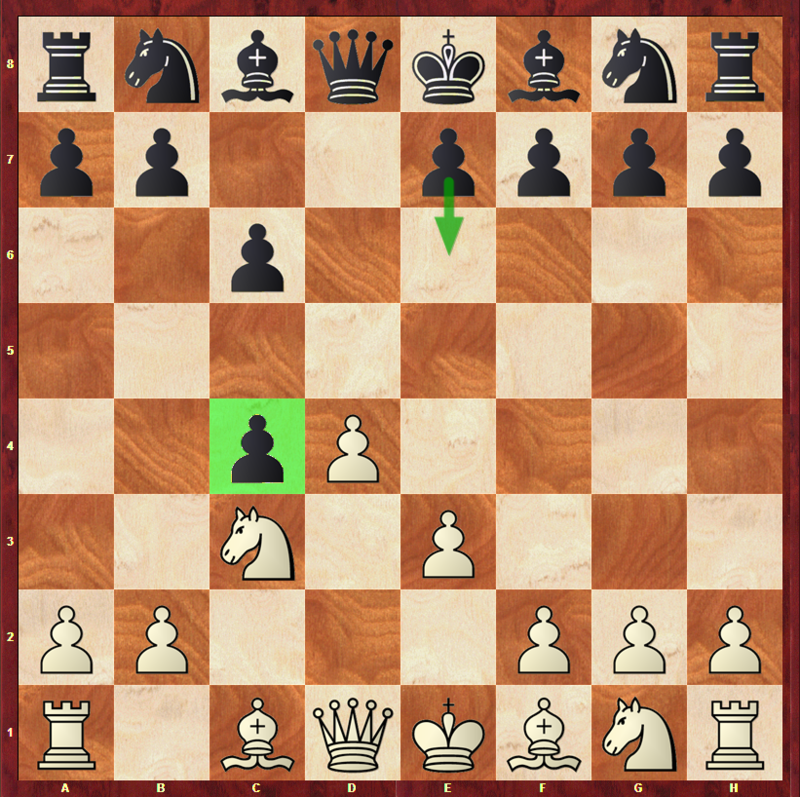 The …f7-f5 plan works especially well here since Black’s King is not put in danger. Again, undermining White’s centre. 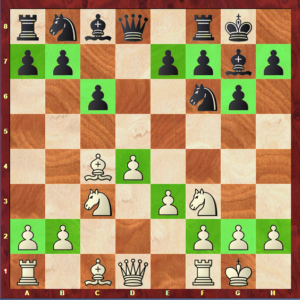 There is nothing White can do to hold this pawn formation, and he simply has to take on e5, which leaves him with two isolated and doubled weak pawns. White is now the one who has to fight to maintain equality. Black is in clear control of the game. The fact that he is losing a pawn is merely symbolic, as the e4 and e6 pawns are so weak that they can surely come to be recaptured. 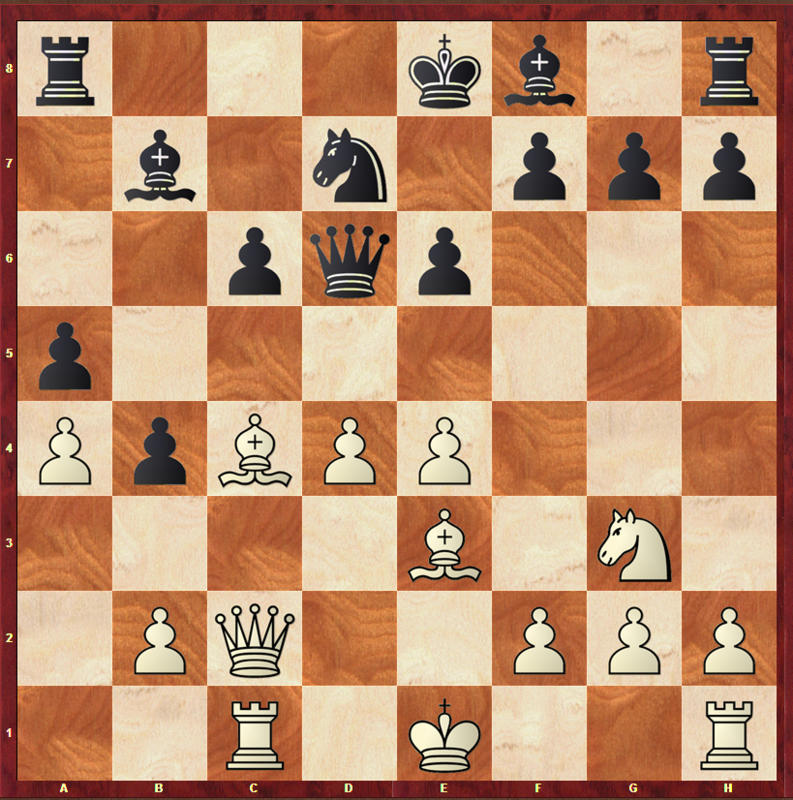 All of Black’s pieces are extremely active and the King is well-placed. 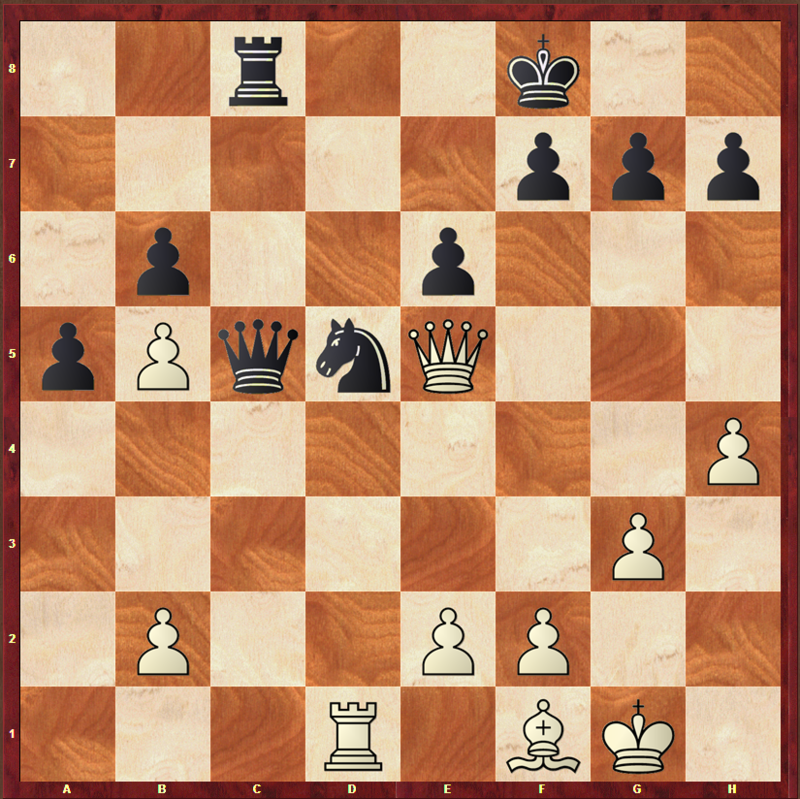 White remains passive, his structure is weak, his pieces are poorly placed and he doesn’t control any open file. The position is much better for Black and the endgame is winning. Yue eventually resigned. Hopefully, you will now keep in mind some new ideas for Black when playing in this structure. 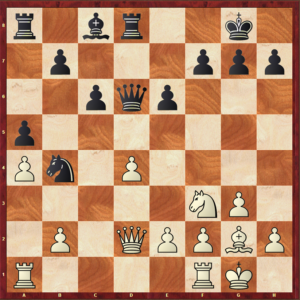 Please note that some of these ideas that worked perfectly fine in an endgame are a lot more difficult to apply in the middlegame: weak pawns are far easier to explore in the endgame, and advancing the f-pawn could, in a normal middlegame position of this structure, lead to an unprotected and vulnerable Kingside for Black. Finally, we are going to see an example of White’s ability to use his Queenside minority to create weaknesses in Black’s position. An endgame was finally reached. 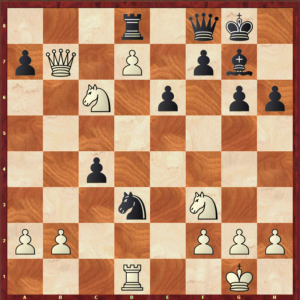 This is favorable for White: from now on, any weaknesses created on the Queenside will be a lot easier to explore, since Black will have a hard time defending them. Weakening the structure even further. Take a look at Black’s pawns colored in green: they are all weak. 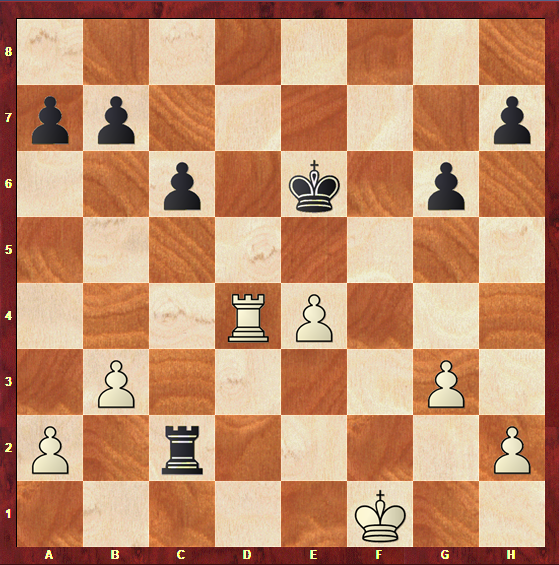 Reaching and endgame with a decisive advantage for White, which was eventually won. 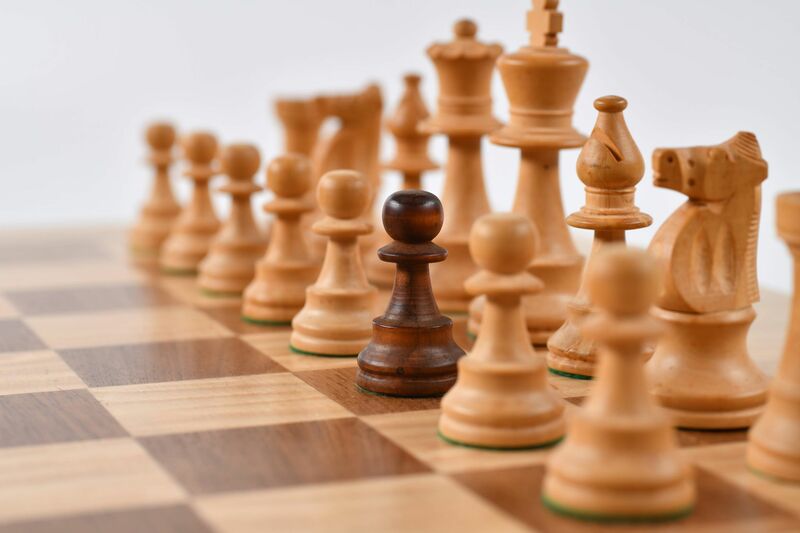 It is important to keep these crucial themes in mind: it is of extreme importance to be very cautious when advancing pawns as it is easy to create weaknesses for your opponent to explore. In all the above games it was noticeable how small mistakes can compromise the whole game in this kind of positions: they require extreme precision. We have finally reached the end of this section. Hopefully, when seeing them in practice, you were able to understand better the plans for both White and Black in this position. Moving on, let’s now see the different ways to reach this structure, so you can also apply in your games all of what you have learned in this article. 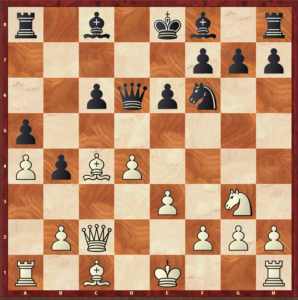 Welcome to the last section of this article: it’s time for you to learn how to actually get this structure on a chess board, so that you can take advantage of what you have learned in your games. In the beginning of the article, it was said that this structure can be found in games that come from different variations. Let’s start with the most common one – the one that actually names this structure – The Slav. As you can see, we are talking about the same structure, simply with opposite colors: the plans and themes will be the same. The only difference in here is the g6 pawn. As you might remember, differences like this happened on the model games: they don’t change the fact that this structure is a Slav formation. They are just some additions that don’t have significant impacts on the plans. Once again, the small alterations do not lead to a different structure, as the globality of the plans is the same. Those are the most common ways to reach this structure. However, even if these openings never cross your chess board, be aware that there can be a transposition to this structure in any game. Let’s now sum up everything in this article to make sure it will be remembered in the future. Congratulations on reaching the end of this article! Now take a moment to rewind the most important things about this structure. The most important thing about this structure is that Black has exchanged his d-pawn for White’s c-pawn. 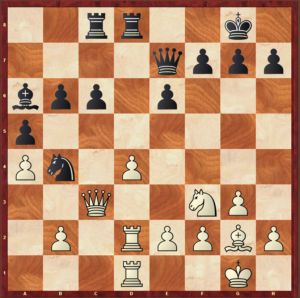 This leads to an asymmetry in the pawn structure that results in very different plans for both sides. White can try to gain space in the centre or on the Queenside. Attacking Black’s King or going for a Queenside’s minority attack is also an option. This structure can be reached by different openings, though the Slav is the most common of all. 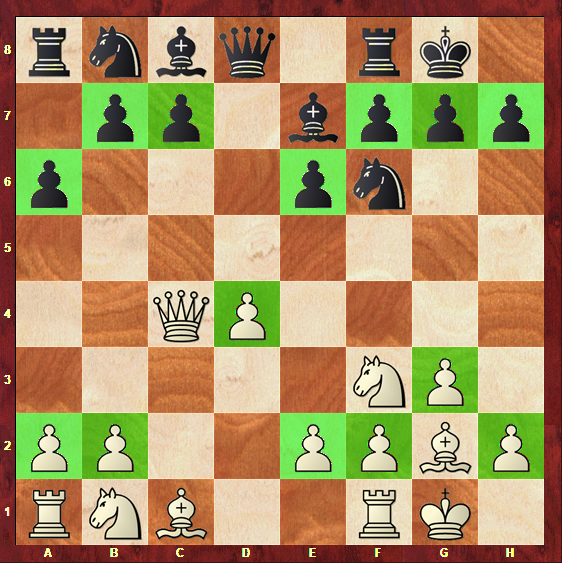 The Catalan and the Grunfeld can also lead to this pawn formation. You can play in this structure with reversed colors using the Colle System. You have just mastered another chess structure! Now you are ready to apply this knowledge in your games, and you will surely have good results with this. Keep reading our chess structures’ articles to make sure you understand all of them!